This post contains affiliate links for which we are paid a small commission, but the price you pay does not increase. Thank you so much for your support of this blog! Spring has officially arrived this week! Can I get a hallelujah, ladies? We've made it through the long, cold winter. The days are beginning to lengthen, the sun is beginning to shine and we are ready to GET OUTSIDE! Nature study provides an excellent reason for taking our school lessons outside. So much happens in nature in the springtime that our backyards become virtual hands-on classrooms! To inspire you to get outside and study nature with your children, we've collected a giant list of spring nature study resources. Follow our Nature Study board on Pinterest for more ideas! Leave a comment here letting us know your favorite way to study nature! ​Welcome. We are so glad you stopped by! Welcome! We are so glad you are here. We are Tara and Rachel, the "sisters" behind Sisters With a System. We are sisters, best friends, next-door neighbors and homeschooling mamas to 12 children. Grab a cup of coffee and sit with us for a while! Join our newsletter and receive our FREE ebook Quiet Time Journal for Busy Mamas! Some posts on our blog contain affiliate links. We receive a small commission whenever a product is purchased through these links. We ONLY suggest products that we personally use or will be helpful to our readers. Also, as Amazon Associates, we earn from some qualifying purchases. Thank you for your support! 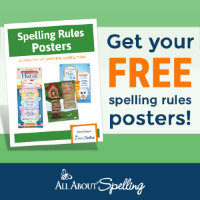 The printables on our site are FREE of charge unless otherwise noted. You are welcome to download for your personal use. We ask, however, that you do not share, reproduce, host or store our printables on any other website or electronic sharing site.